Human resources aren’t just about hiring and training new employees and managing the needs of existing staff. It’s also about ensuring that your company’s employees continually feel valued and like they have opportunities for growth within the company. There are many ways to express your appreciation for staff, including positive feedback, rewarding a good job done, and providing employees with perks that make them love working for you. But no matter what industry you’re in, employee turnover is an issue, no matter how much effort you put into showing your appreciation. More than 25% of your employees are likely high retention risk, and that includes your top performers. Of these employees, over 70% may feel that to advance their careers, they need to leave your company. That leaves you in a conundrum. How can you keep your top performers (along with everyone else) engaged and happy in their roles with your company? Are there ways you can make them feel like they have long-term potential for growth with their current employer? Can you give them a reason to stay? Beyond the initial training you provide new hires to understand their roles and responsibilities properly, do you offer additional opportunities for them to level up their professional development? If not, you may continue to struggle to keep employees long-term. If you provide many resources for them to keep sharpening their skills and expanding their knowledge—as well as advancement opportunities so they can continually challenge themselves in more progressive roles—you’ll be able to incentivize them to work their way up the ladder at your company rather than look elsewhere for a step up. Not only will your employees stay with you for years, advancing into new and more advanced roles as they’re ready, but you’ll also benefit by having engaged and motivated employees, as well as the sharpest minds in your industry. What you offer for employees to bone up on new topics and technologies can be as simple as setting up a lending library of business and industry books in the breakroom or as complex as establishing a learning management system that you continually offer new modules on. The key is knowing your employees and their wants in terms of learning tools. Are most of your employees Gen X or younger? If so, interactive technology is your friend, as it will appeal to their hands-on nature. Would most of your staff prefer a self-guided option, or would a group setting be more effective for fostering camaraderie and dialogue? Being able to answer questions like these can help you determine which of the following learning and development options are the best fit. If you have an LMS that you use for new hire training, you can also add other modules for career development. The goal here is to keep the lessons very short and easy to digest. Let’s say you have staff that is interested in being promoted to management roles. You could create a leadership training course in your LMS with a variety of videos, interactive content, and quizzes on leadership techniques and principles. In his spare time, Joe can take one or more modules, then take the final test when he’s done to acknowledge his retention of the material. When he applies for that management promotion, he can present the hiring manager with his certificate of completion. Collaborate with hiring managers within your company to ensure that you develop modules that provide the knowledge they want for the roles they hire for. If the hiring manager in Joe’s department (IT) also wants managers to have knowledge of a certain programming language, Joe will need training resources on that language in addition to the leadership course. There’s no denying the power of learning by doing. While some book knowledge is necessary for any role at your company, employees looking to step up to a new role will also need to reinforce that knowledge with hands-on experience. 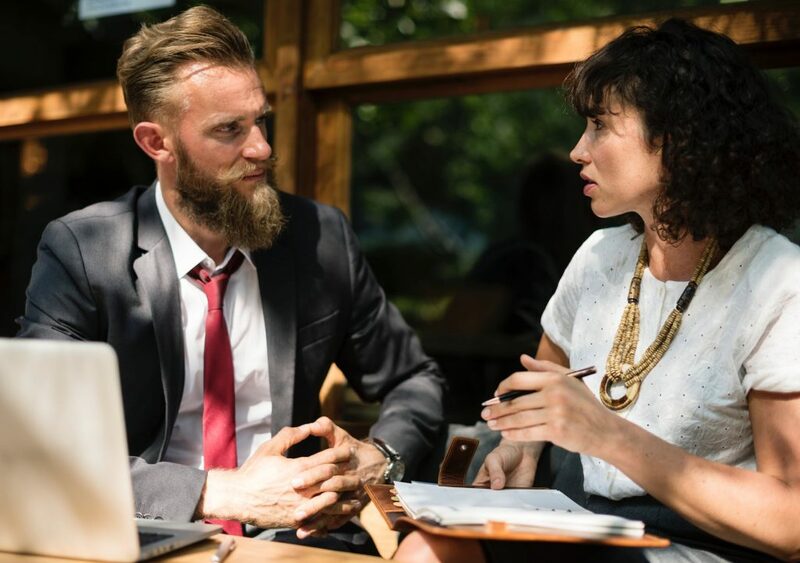 Partner an employee with a senior staff member and have a clear process for what an apprenticeship will entail and what specifically the apprentice will learn. Take into consideration the fact that both employees have other responsibilities; how can this program be built into their work week while minimizing disruption? Perhaps the pair partners for five hours a week or the mentor assigns certain tasks to the apprentice with a few hours of follow-up and additional training. Peers learn from one another. Consider creating a mastermind group for a given department where employees at every level of experience can collaborate, discuss, and give advice to one another. A junior marketing assistant might love sitting in the room with the director of marketing to get insight into how she can advance her career. That director might love the exchange of ideas with someone who lives and breathes social media. Have a focus for the group, and encourage all members to actively contribute to the conversation. Not everything can be learned within your company’s walls, so be open to encouraging your employees to find external development opportunities. 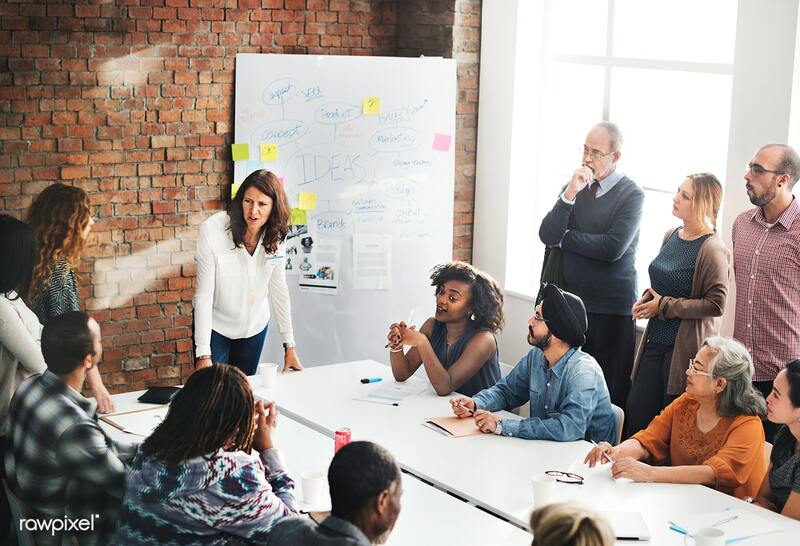 Consider offering a discretionary budget for your staff to attend industry conferences, workshops, and other events where they can learn additional skills that will benefit their current (or future) role with your company. Keep an eye out for good events that your staff might be interested and send out an email each quarter with listings and the process for applying for funding to attend. The employee should be able to express how a given event will help him in his role before you approve the funds to be released. Looking for a simpler professional development resource? You’ve got one at your fingertips: the internet. With a plethora of sites and blogs dedicated to every topic under the sun, your employees are just a few taps away from being able to next-level their knowledge. You could encourage department managers to create a curated list of useful resources and articles and send them out monthly or weekly. That way, employees don’t have to do the digging themselves for great content, and managers can be selective about what they’d like their teams to learn about. Some employees learn best from feedback. Don’t wait until your annual employee performance reviews to let employees know what their weaknesses are. Encourage managers to regularly check in with each team member to highlight what they’re doing right and provide guidance for areas of improvement. If managers are keyed into an employee’s performance, they may be able to suggest microlearning modules that can help the employee shore up on those weak spots. An additional benefit to checking in regularly is that managers can take the pulse of employees and uproot any discontent or frustration before it causes them to seek another job elsewhere. Likely it will take more than one method to cover the wide range of learning preferences of your staff. Make sure you offer the right options by talking to representatives from each department to get their input on the types of learning tools they would find valuable. Their answers might depend on the type of things they want to learn. Someone looking to beef up her knowledge of social media marketing might do better with hands-on learning opportunities, while an employee who wants to move into a management role might fare better with videos covering leadership strategies. Get feedback on the tools you offer so you can make improvements to your professional development strategy. And pay attention to attrition rates! If they’re still rising (or not shrinking), you either aren’t offering tools that help people qualify for internal promotions or there is another issue that’s causing employees to jump ship. Get to the bottom of the problem so you can keep the staffs you’ve worked so hard to train and nurture. Keep learning modules and videos up to date. As new technologies come out, make sure you offer training resources to educate interested employees on software or apps that could give them a competitive edge in their roles. It may be beneficial to have a dedicated employee in your HR department manage the professional development aspect since it will continually change and require updating to remain relevant to your employees. Regularly revisit the resources you have available and update any information that is outdated (particularly as it relates to IT and marketing since these fields are constantly changing thanks to new technologies). A company that cares enough about its staff to offer resources for its professional growth is one that will keep employees working hard for longer. 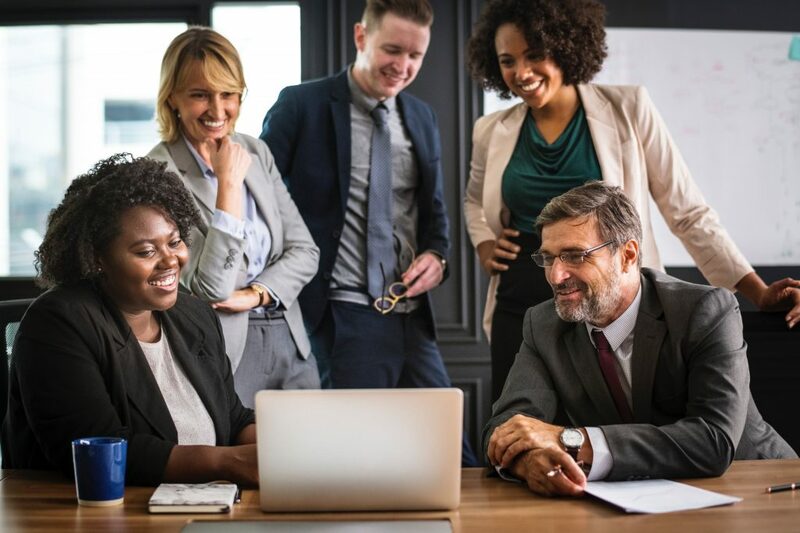 Promote your professional development resources as part of your benefits package so you stand out against other businesses vying for top talent in your field. It may be the one thing that makes a qualified candidate choose to work with you over the competition. Pingback: What is the Future of Performance Management?